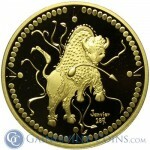 The Legendary Great White Buffalo - Immortalized in Gold! What Are the Key Dates for the Silver Eagle? 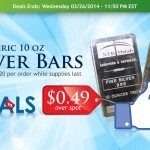 Daily Deal: 10 oz Generic Silver Bars 49 Cents Over Spot! 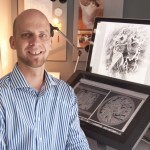 A "King's Ransom?" 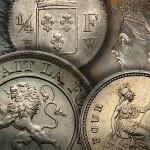 5 Outrageous Ransoms Paid in Gold and Silver. 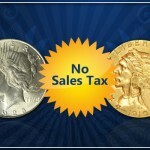 There's No Sales Tax On Silver Eagles At Gainesville Coins! 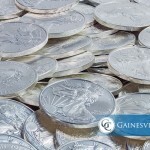 The team at Gainesville News is dedicated to bringing you relevant updates and analysis about the precious metals markets, as well as news in the broader financial markets. Our reporting reflects the crucial—and often overlooked—role that gold, silver, platinum and palladium play in the global economy, and how these metals interact with other assets and economic developments. We want to empower our readers with the latest information and industry perspectives on important events affecting the markets. We also provide occasional stories concerning geopolitics, important domestic developments, and other topics of interest. We always strive for objectivity and accuracy. Due to their diverse knowledge and professional backgrounds, our contributors also share their opinions where such insights may apply.